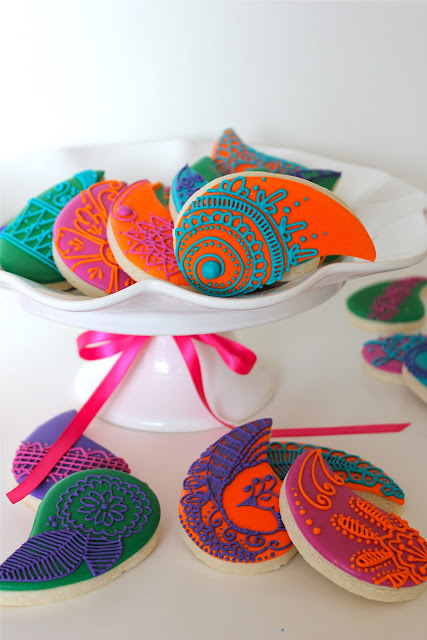 I shipped these colorful paisley shaped henna inspired cookies off to a wedding in california about a week ago. I loved the designs on the paisley shapes. 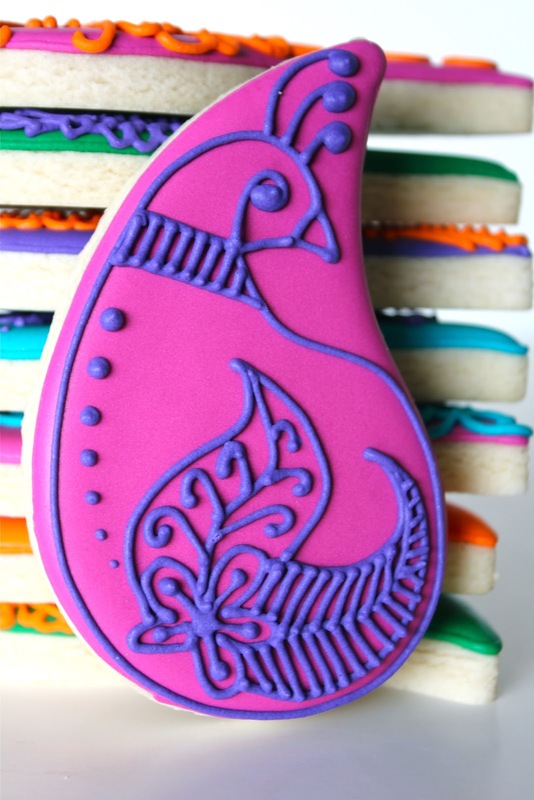 I also tried a new sugar cookie recipe and love it! So nice to have two that I really like. Have a great week all :) Christmas cookies coming soon! 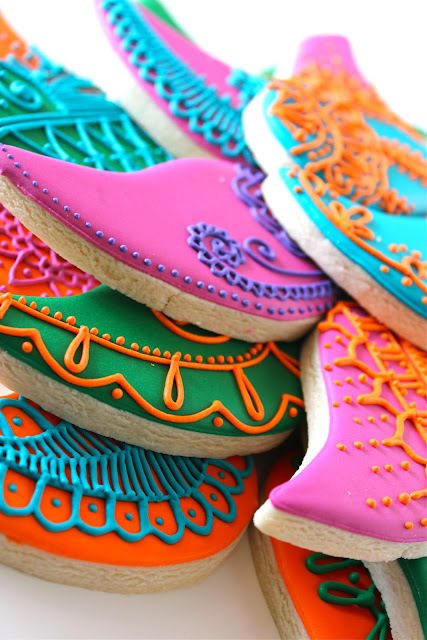 These cookies are beautiful! How did you make the designs? Thank you! I do everything free hand and look at a lot of tattoos for inspiration! What do you use to draw the design? These are incredible! How did you pipe the icing (special tool or a piping bag) and what size tip did you use? Thank you Gwen! I use a #1 tip and just a regular ol' disposable 12 inch piping bag! 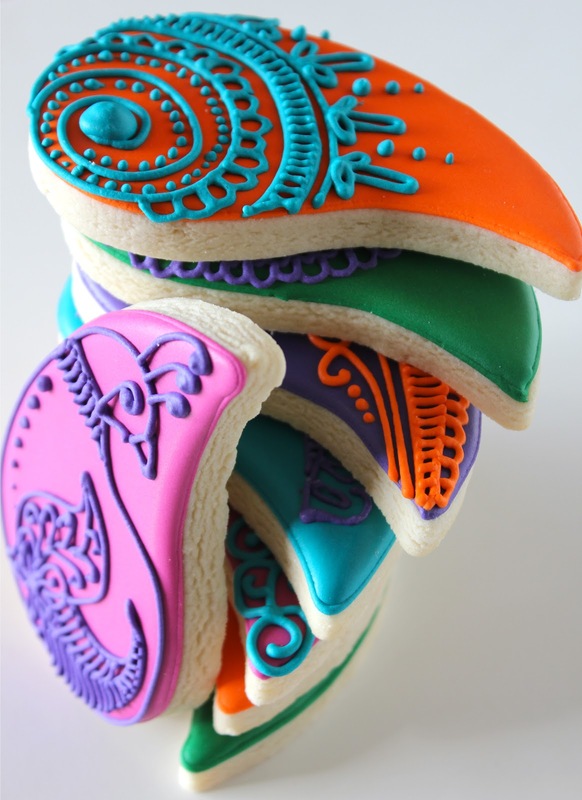 These cookies are absolutely stunning....which colors did you use in the icing. Can you ship to the UK?? What's your sugar cookie recipe? I only ship within the USA unfortunately. Maybe one day I will ship internationally!